Anywhere but here…after a year of no travel and all of the snow and ice I’m ready for new scenery. Even if it is that of a state which has more snow and ice. At least it would be more scenic than my Central Ohio neighborhood is right now! 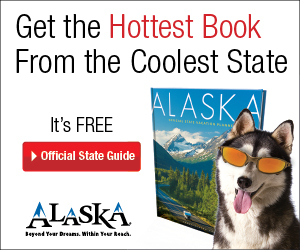 :-) Request a FREE Official Travel Alaska State Guide here. I just requested mine and am excited to look at the pictures and daydream.